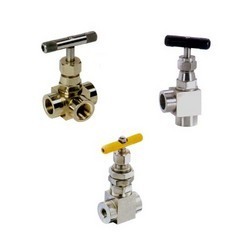 Our clients can avail a quality range of Needle Valve from us. These Control Valves are available in a size of 1/8 to 1"(3 millimeter to 25 millimeter) as per ANSI B16.10, B16.5,B16.11. These Industrial Valves are available to our clients in angle and straight pattern and also have a compact and rugged body. Our range is widely renowned for its accordance with the international quality standards. Entire Range of 'BS' valves Available with any third party inspection Material Test and Guarantee Certificate for a Period of 18 Months from the date of delivery. 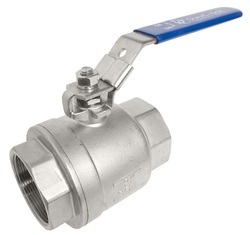 Being a quality centric organization, we offer Ball Valve to our customers. These products are acclaimed and appreciated across the globe for its sturdiness, quality and durability. Stringent quality checks are conducted on the products to ensure its accordance with the international quality standards. Testing Standard: API 598, BS 5351.